2: Secretary's Column - It's been a busy month! Welcome to the American Society of Civil Engineers! We are happy you joined us in ASCE's Orange County Branch. 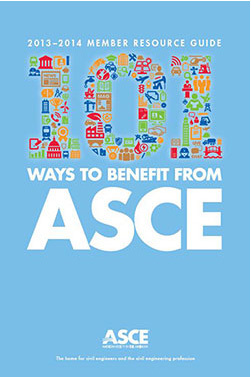 Remember...there are 101 ways to benefit from your membership with ASCE. Become involved, educate yourself on a engineering topic outside of your expertise, build relationships with others in the industry - to name a few. Please contact a Board Member if you have questions, or a committee chairperson to become involved.